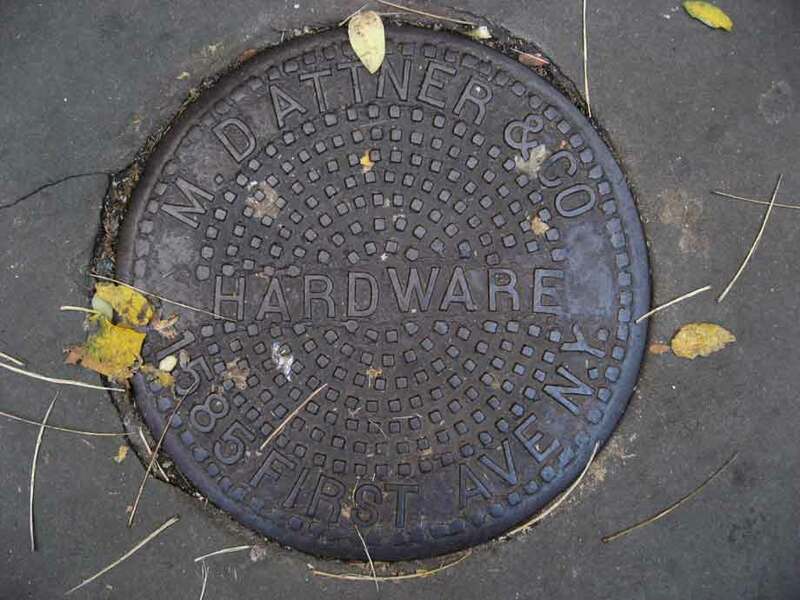 M. Dattner & Co. were located at 1585 1st Avenue, New York City, from 1917 to 1937. M. Dattner was Moritz (aka Morris) Dattner (1879-1963). He was born 12 March 1879 in Wadowice, Austria, and immigrated to the U. S. in 1903. (Wadowice is currently (2016) a part of Poland, near Krakow.) He registered for the World War I draft in 1918 when he was a hardware dealer in business for himself at 1585 First Ave., NYC. He lived at that time at this same address. In the 1940 U. S. Census Moritz Dattner lived at 2344 86th St., Brooklyn, and in the 1942 World War II draft he declared that he was self employed at this address. In 1943 the New York Herald Tribune, 20 May 1943, pg. 35, announced an auctioneer's sale of hardware and house furnishings valued at $9000 at 2344 86th St., B'klyn. Before having his own business, from 1913 to 1917, Moritz Dattner was in business with his brother, Louis Dattner (1882-1970), as Dattner Bros. at 1585 1st Avenue. From 1917 to 1960, Louis Dattner had his own hardware business at 1210-1212 1st Ave. Louis Dattner was born 26 April 1882 in Vienna, Austria. (His World War II draft registration in 1942 gives the year as 1883, but it is otherwise recorded as 1882.) In 1960, on Louis Dattner's retirement, the following appeared in the New York Times, "The Renttab Realty Corporation, Louis Dattner, president, has sold the property at 1206 to 1212 First Avenue, northeast corner of Sixty-fifth Street, to a builder who was represented by Douglas L. Elliman & Co. James H. Biggart, vice president of the Elliman organization was the broker. The property fronts 100 feet on the avenue and 110 feet on the street and contains four four-story store and apartment buildings. The houses will be demolished and the site improved with a twenty-one-story building containing 180 apartments, a garage and stores. The proposed building is expected to be ready for occupancy in the summer of 1962. The Home Title Guaranty Company insured title. The property was acquired by the seller in 1937." A partner at M. Dattner & Co. was Samuel Enoch (1879-1948). Enoch was born 20 May 1879 in Austria, and immigrated ca. 1901. His World War II registration in 1942 said that he was born in Rajcha, Austria. (This is possibly Rijeka, which is now (2016) a seaport in Croatia.) In 1942 Samuel Enoch said that he was employed at "Edward Fox, 920 Kings Highway, Brooklyn." There was a hardware/housewares store by this name at that address.